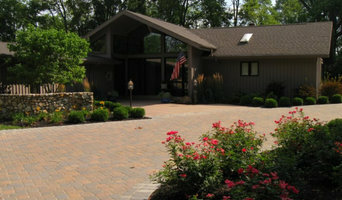 A small, family-owned concrete flatwork contractor business operating in the Greater Cincinnati, Ohio area since 1987. We specialize in decorative and traditional concrete finishes as well as drainage work, excavating, demolition, fountains, seated walls, retaining walls, and concrete countertops and floors. DRIVEWAY SPECIALIST ! 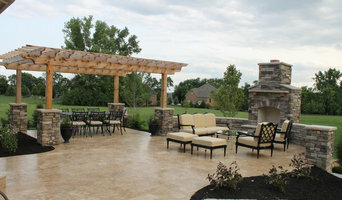 Our goal is to maximize your home or business's curb appeal, value and comfort with the addition of New Driveways , Patios , walkways & stamped concrete . At Addis & Barrett Concrete we strive to achieve this goal through superior craftsmanship, and an unwavering focus on quality. Our policy of never settling for anything less than 100% customer satisfaction has made our company's vision, a reality. Our friendly professional artisans are eager to assist in the creation of the living or working surface that meets all of your needs and exceeds your expectations. Please feel free to contact us , and schedule a free consultation with one of our friendly staff technicians. We stamp a variety of colors and patterns that is sure to make your home stand out in your neighborhood ! 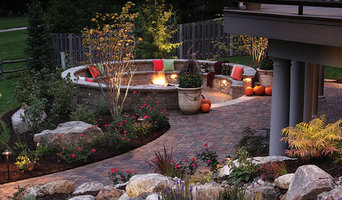 We are a paving contractor of asphalt and concrete. 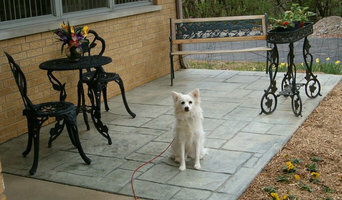 We repair and install new driveways, parking lots, sidewalks, steps, patios, stone walls, walkways, porches and footers. With over 40 years of experience in the Cincinnati area, Solid Foundations Construction is your solution to any foundation and waterproofing-related issues and projects. We manage each project with the utmost attention to detail and pride ourselves on our consistent communication, diligent adherence to deadlines and a beautiful finished product that outshines your expectations. Reach out today to receive your free estimate from Cincinnati’s preferred foundation specialist! Quelles prestations fournissent les entreprises de pavage sur Cincinnati, OH et d’aménagement d’allées de jardin ? Pour trouver un professionnel de l'aménagement d'allées extérieures et pavage pour installer une allée pavée sur Cincinnati, OH, affinez votre recherche dans la section « Trouver un pro » par ville ou par nombre d'avis. Nous vous invitons à regarder des photos d'allées de jardin ou pavages sur Cincinnati, OH et à contacter un installateur d'allées pavées qui a travaillé sur des projets similaires au vôtre.